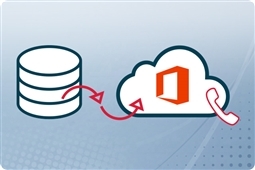 Need Office 365 Migration Tips? Let Aventis Systems handle your Office 365 subscription, email migration, and Microsoft Office support here! Whether you are looking to do an Exchange to Office 365 migration, IMAP migration to Office 365, Gmail to Office 365 migration, or many others, understanding your steps to migrate to Office 365 can be a pain! Risk mitigation to prevent data loss, your business compliance requirements, and lack of multi-layered protection can cause massive risks to your business data security. In addition, standard software support does not typically cover your team in the event you need assistance with planning your email migration, executing, or resolving errors through the lifetime of the license. Managed Microsoft Office 365 Business Essentials with Migration and Support the perfect small business Office 365 bundle to get your team started! Office 365 Essentials comes with all of your favorite online applications as well as file and email storage for up to 300 users! Managed Microsoft Office 365 Business Premium with Migration and Support the ideal midsize business bundle for Office 365 with the best in fully installed Office 365 applications, email, and file storage! Get this fantastic bundles for up to 300 users today! Managed Microsoft Office 365 Enterprise E1 with Migration and Support the best bundle for midsize businesses and enterprises that only need access to Microsoft Office 365 online applications! Get access to online applications, email, 1TB of OneDrive storage, and unlimited users with the Managed Enterprise E1 bundle! Managed Microsoft Office 365 Enterprise E3 with Migration and Support the ultimate Office 365 subscription, with fully installed applications, email, unlimited OneDrive storage, and unlimited users! This Enterprise E3 Managed bundle with support and migration services is the ideal solution for midsize businesses or enterprises seeking all their favorite Office 365 features and applications! All Aventis Systems Managed Office 365 subscriptions come with Email Migration, 8:00 AM - 8:00 PM (Monday-Friday) Support, and your license bundled together! In addition, this Office 365 service is billed monthly (with annual commitment) and is easy to fit into even the tightest software budgets. Need more advanced data migration services, weekend support, or installation services? Contact Us and our team of trained experts will assist you with the custom migration you need to keep your data safe, ensuring a seamless Office 365 integration! So shop our service subscriptions below and let Aventis Systems make your Microsoft Office 365 Migration easy today! Not sure if you're ready to migrate to Office 365? Get your Microsoft Office 365 Readiness Assessment today!